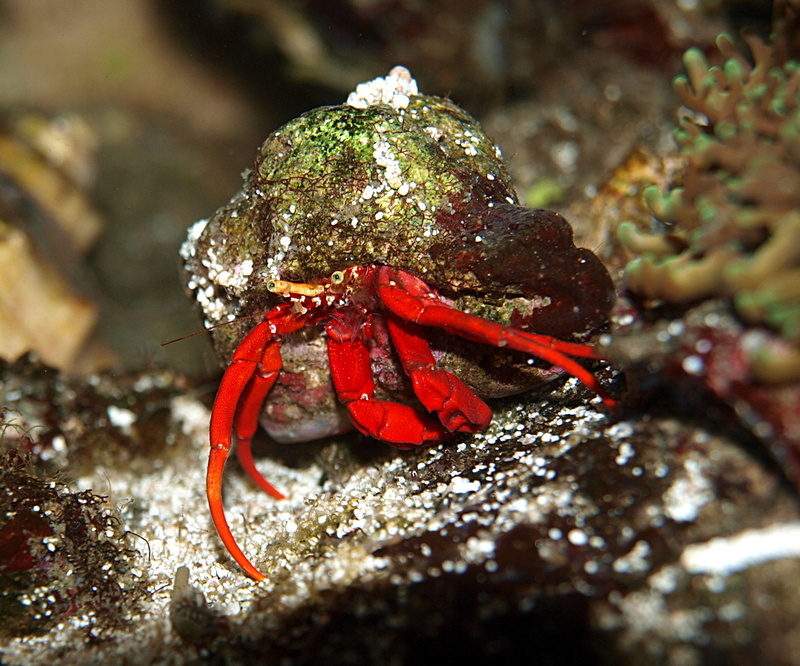 The Scarlet Hermit crab will eat hair algae and scavenge in your aquarium. They are bigger than blue legs, about the same size of the left-handed hermits we carry in the assorted hermit mix. While Scarlet Hermit Crabs will not eat your corals, they may attack snails for their shells, and this is something to be mindful of in your tank. You can reduce this risk by having plenty of empty shells for them to move into. They are good cleaners, but they arent particularly cost effective.